The winning students gather together after winning the state championship. 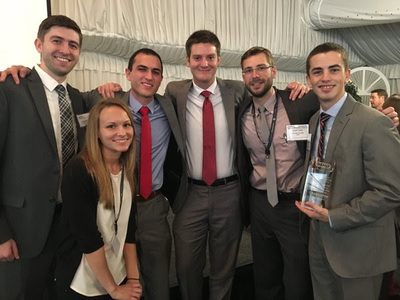 Two teams of students from Cedarville University’s School of Pharmacy took home first place in two different events at the Ohio Society of Health-System Pharmacists 12th Annual All-Ohio Residency Showcase Competition in Columbus on October 24. Weinstein, Mark D., "Pharmacy Students Win Ohio SSHP Championship" (2015). News Releases. 214.